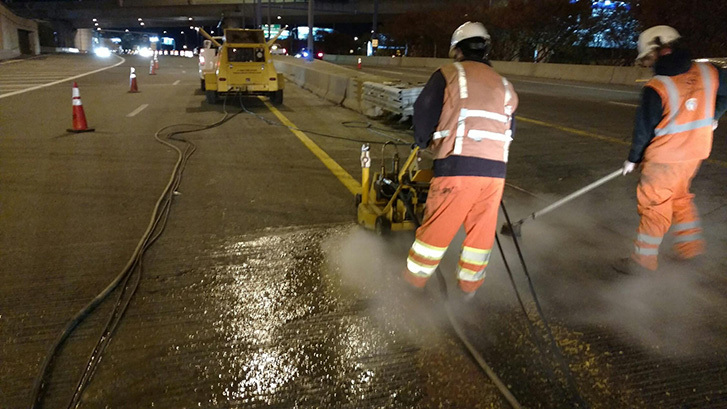 AK Services removed line striping around the Ted Williams Tunnel in Boston, MA for MassDOT. 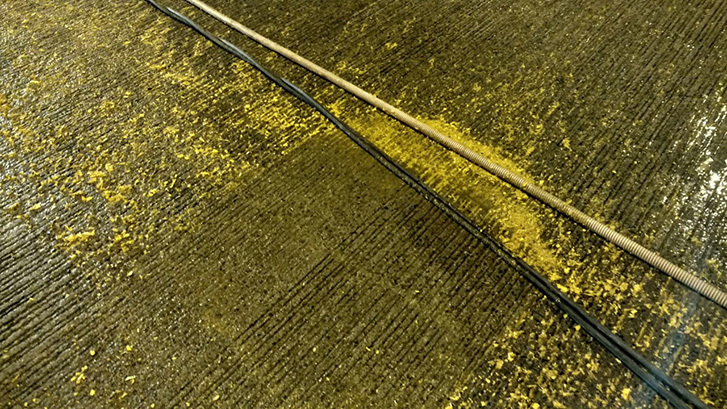 Eradicated existing epoxy traffic markings on cement concrete surfaces, in preparation for new traffic markings. Client: SPS New England, Inc.